The speed that wireless technology evolves is nothing short of break-neck. That 5 year old laptop with a wireless 'g' network card might not be compatible with the 802.11ac Wave 2 MIMO access point that's covering the hotel floor. You can install external wireless adapters with the latest technology for older laptops that won't connect to newer hardware! 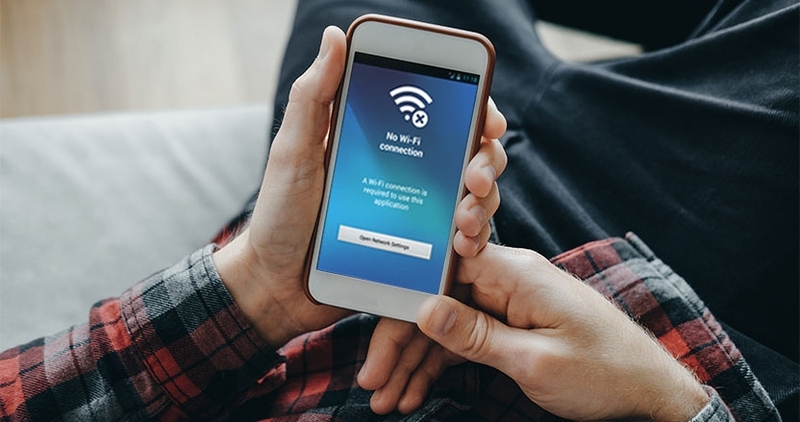 Wireless 'AC' products use the 802.11ac Wi-Fi protocol, ensure that the devices looking to connect to 'ac' products are compatible. Most Access Points feature older legacy compatibility in an alongside radio. The environment plays a massive factor in whether or not you get a Wi-Fi signal. A Wi-Fi signal bounces off trees, leaves, raindrops, walls, glass, just like light. The only difference is that Wi-Fi can penetrate through some materials. When installing a device that will be providing access to a network, make sure that obstructions to the signal are kept to an absolute minimum. We're at the stage where most wireless devices will broadcast on both 2.4GHz and 5GHz spectrums, some environments are so saturated with 2.4GHz signals that only 5GHz gets through. A lot of older devices still use 802.11n or 2.4GHz only signals, so you'll miss out on a connection if you don't have a dual band device. You can improve the chances of getting a good wireless signal by using dual band devices with 'band steering', pushing clients (devices) who can use 5GHz frequencies to the correct frequency. Remember when you were a kid and you got Radio Controlled cars for Christmas? Did you ever you forget to switch the radio frequency on the controller and accidently started controlling both cars at the same time? That's radio interference. It's the same thing for wireless signals, there are modern technologies in place for access points that mitigate interference but if the environment is saturated with 2.4GHz or 5.8GHz signals you're going to find it hard to get a fast and stable connection as your device struggles to 'hear' what it needs to over the noise. To mitigate Wi-Fi Interference you can change your wireless device's Wi-Fi channel in the settings. Try multiple channels because someone nearby might have installed something on lots of channels! There's no official licensing for 2.4GHz and 5GHz devices. Those are the most common frequencies for our devices, there's no law to say people can't operate in the same channel as you. An access point must process radio signals and convert them to data. Most of our home routers will not only provide Wi-Fi, they will also route traffic via the shortest path across the massive network that is 'the internet'. Inside the access point is a processor, just like in your computer. That processor can have to manage interference mitigation (via proprietary technology like 'band steering'), many different client devices, security protocols (WPA2 etc), modulation of Wi-Fi signals to increase the amount of data they can transmit, multiple frequencies and then routing on top of all that! It's easy to overload cheap home routers or even 'pro-sumer' entry level access points like Ubiquiti AP AC Lite or Ligowave NFT 1n. You can mitigate this by disconnecting devices that aren't actively using the network, or by purchasing 'high density' devices that are designed to handle many client devices at once such as the Ruckus R300, R500 or R700/720, Ubiquiti AP AC HD or the Ligowave NFT 3ac. Separating the Wi-Fi portion from the 'routing' portion of networking means that the processor has to do less work all at the same time. This is why you don't find BT Infinity Hubs or Virgin Super Hubs in most tech initiated businesses.